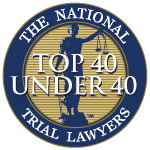 As the evidence continues to mount about the dangers teenagers face behind the wheel, Florida car accident attorneys an personal injury and wrongful death lawyers urge parents to talk with their children and make them aware of a growing list of local resources. Statistics consistently show that motor vehicle crashes are the leading cause of death for persons ages 15 to 24. Teen drivers ages 16 to 19 are four times likely to crash than older drivers. And a recent insurance study reported that Fort Myers and Cape Coral was the deadliest metro area of its size nationwide for teen crashes through Christmas and New Year’s and a hotspot for teenage accidents throughout the year. The accident rate among teen drivers in Southwest Florida is increasing — up 12.5 percent in 2006, when 233 teenagers were involved in accidents in Lee County. Toxic substances were involved in half the crashes among drivers 15 to 25. The Florida Department of Transportation and the Department of Highway Safety and Motor Vehicles have debuted a website “Take The Wheel,” which emphasizes the risks of teen driving. Geared toward teenagers, the edgy site offers video, real-life stories and other information for teens. It reports a teenager is injured every 55 seconds in a crash and a teen dies in a car crash every 6.5 minutes — or about a dozen times an hour. Locally, Lee Memorial Health Systems routinely offers a free young-driver’s seminar to teenagers and/or their parents. The next course is available on Feb. 10 from 5:30 to 8:30 p.m. at Lee Memorial Hospital on Cleveland Avenue in Fort Myers. Enter through the emergency room and follow the signs to the auditorium. Those wanting more information can call Syndi Bultman (239) 336-6797. 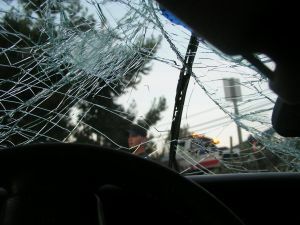 If you or someone you love has been seriously injured or killed in a car accident, there are certain things you can do to help protect your rights. The Florida car accident attorneys at Associates and Bruce L. Scheiner, Personal Injury Lawyers, offer free appointments to discuss your case at any of the firm’s offices throughout Southwest Florida, including Fort Myers, Cape Coral, Naples, Port Charlotte, Arcadia, Sebring and Venice.